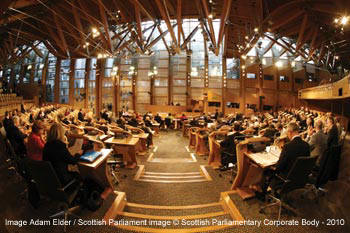 We respond to consultations from Government and its agencies, and calls for evidence from the Scottish Parliament. All of our responses can be found here. Response to The Scottish Climate Change Bill consultation 23 April 2008. Also see Macaulay Land Use Research Institute's Climate Change pages. Response to The Significant Water Management Issues Consultation in 8 April 2008. Also see Macaulay Land Use Research Institute's SERG and Water Quality pages. Response to The WEWS Implementation Consultation April 2008. Also see Macaulay Land Use Research Institute's SERG and Water Quality pages. Response to Choosing the Right Ingredients: the future for food in Scotland discussion paper April 2008. Also see Macaulay Land Use Research Institute's Socio-Economics pages.